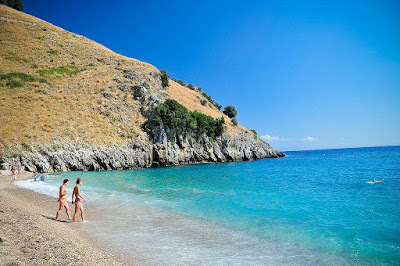 “Here is Albania with dreamy beaches, warm seas, lush scenery, endless sunshine and affordable prices.” Tgcom 24, the online global news site in Italy describes our country as the new place for holidays. Between sea and culture, history and fun, Albania is the emerging destination in Mediterranean, with great value for money. A country with breath-taking landscapes, spectacular beaches that looks like Caribbean beaches and great hospitality. 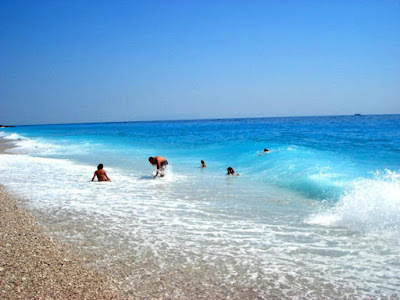 Sea in Albania, is synonymous of the low-cost holidays. 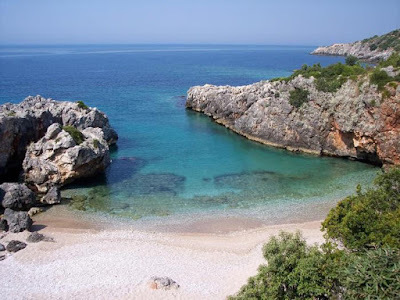 The south of the country is the most spectacular and the most beautiful with crystal-clear waters: from Valona to Saranda and beyond, in the Llogara National Park, with coves, beaches and small villages. Tgcom 24 makes a list with some places for a holiday that will surely surprise you. Saranda loved by young people - Defined as "The White City", it overlooks at a small and open bay, surrounded by hills, and is right in front of the Greek island of Corfu. Beyond the sun, sea, and night life, Saranda has a rich history and culture: Castle Lëkurësi (now a restaurant with a wonderful view over the town and the Butrint lagoon) and absolutely should visit also Archaeological Park of Butrint. The Blue Eye with its colour in deep blue which stands at an altitude of 152 m.
Vlora, a charming and very quiet, sandy, bathed in wonderful turquoise waters, crystal clear. Drymades: a beautiful golden sandy cove where you can camp or rent a bungalow and enjoy one of the spectacular sunset characteristic of this stretch of Albania. The Pirate Cave - The Beach of Livadhi, at the foot of the castle of the city of Vlora is framed by thick vegetation behind the walls and rocky walls on the sides: here is perfect for a quiet swim.